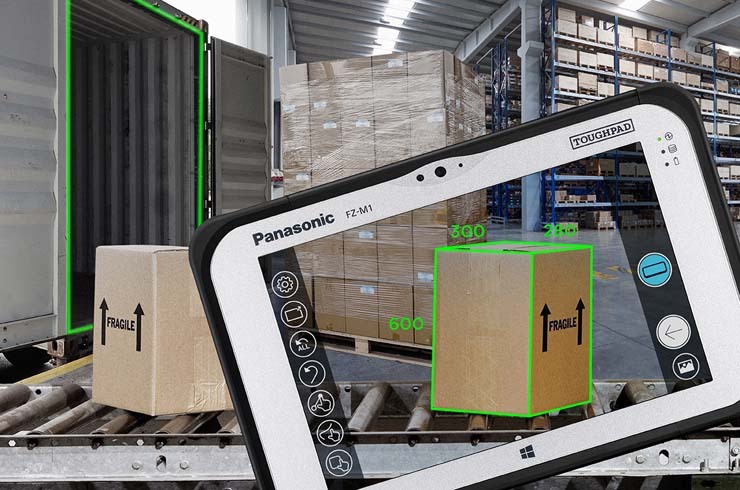 Newly available for the FZ-M1 tablet, an optional built-in thermal camera supports mobile workers’ ability to spot problems before they even happen. 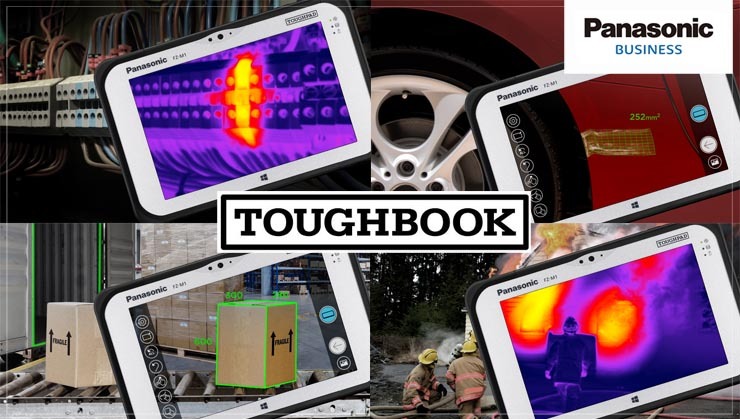 Typically, thermal imaging requires an additional device such as a thermal imager or temperature gun, which adds unnecessary weight and clutter to a mobile workers’ equipment load. Incorporating a thermal camera directly into a tablet already in use means added value for field technicians who can now quickly assess the state of 100-200 connection points, identifying areas of failure with thermal imaging. Similarly, vehicle maintenance professionals can use thermal imaging to determine when components are overheating to proactively maintain vehicles before a mid-delivery malfunction. In addition to identifying specific points of failure, environment sensing is another benefit of thermal imaging and also 3D camera technology. 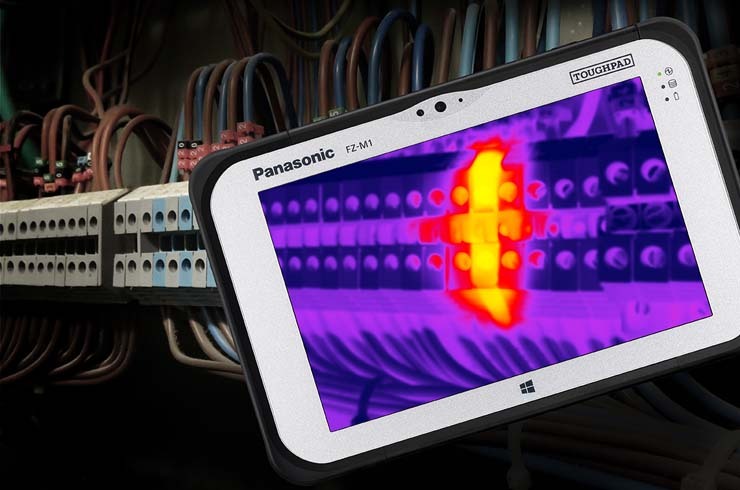 The FZ-M1 Toughpad offers thermal imaging with the new FLIR Lepton 3 camera, which delivers infrared analysis to catch invisible thermal sources immediately, ideal for detecting heat sources from a utility pole, power facility malfunctions or heat anomalies. The FLIR Lepton 3 camera is typically exclusive to Android devices, but has been reworked to operate on Windows devices for Toughbook customers. The FZ-M1 not only offers mobile workers with the added advantage of thermal imaging, it also supports 3D imaging technology. With the FZ-M1’s Intel® RealSense Camera™, 3D imaging can be used to analyse depth and multi-surface areas without the need of additional devices. For shipping companies, 3D imaging is valuable to determine exact packaging measurements to plan against shipping capacity. Incredibly, this feature also enables better wound management for public safety professionals to provide better emergency medical services by precisely measuring injury depth. One of the greatest advantages of using mobile technology is being connected to mission-critical data anywhere in the field. The FZ-M1 tablet’s 4G/LTE WWAN module and specially tuned antenna enables better cellular connectivity and data access — a specific request from customers in the military and utility field services. But we didn’t stop there. 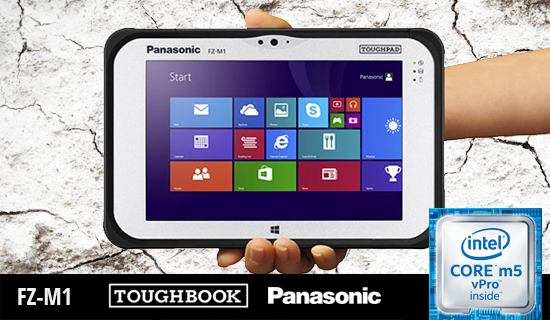 The Toughpad also features a dual pass-through external antenna, offering mobile workers access to GPS and 4G LTE simultaneously. This dual functionality helps mobile workers avoid having to rig an unofficial system to connect to both data sources, preventing the use of converters and adapters to simplify their mobile technology ecosystem.